It’s finally here! The new trailer for Hello Neighbor. All of its footage was captured from a Release Candidate build, meaning “it’s all from the final game”. We’re still working on a couple of loose ends and quality assurance, and December 8th is looking pretty good! 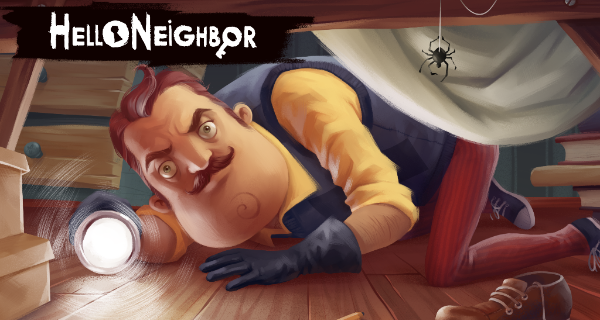 We revealed Hello Neighbor a year ago at TwitchCon. Soon after we released a Pre-Alpha build, available for free to everyone. That barebones build caught the attention of gamers and influencers, spiraling into a wave of videos and conspiracy theories. 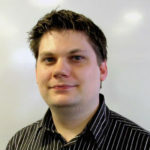 It wasn’t really possible to do a traditional Early Access model where you build upon a single build. That’d ruin story surprises, and get boring quickly. Instead, we decided to start sharing in-development Alphas and Betas of Hello Neighbor. These are separate builds with variations of the house, the AI’s behavior, and puzzles. Everyone who pre-purchases the game on Steam gets access to all of these. So far there’s been over a billion views on Hello Neighbor videos on Youtube, including music videos and a live action musical. I wrote a detailed post about what fans get with “Early Alpha Access” as I used to call it. It was extremely amusing to watch channels like Game Theory dive really deep to figure out what’s going on in Hello Neighbor. It’s been an exciting ride, and we’re ramping up for the launch on December 8. Oh, there also might be a completely unexpected build on Friday.